Named after the song Frank Sinatra sang in Guys and Dolls. This necklace could be your lucky charm, you never know! 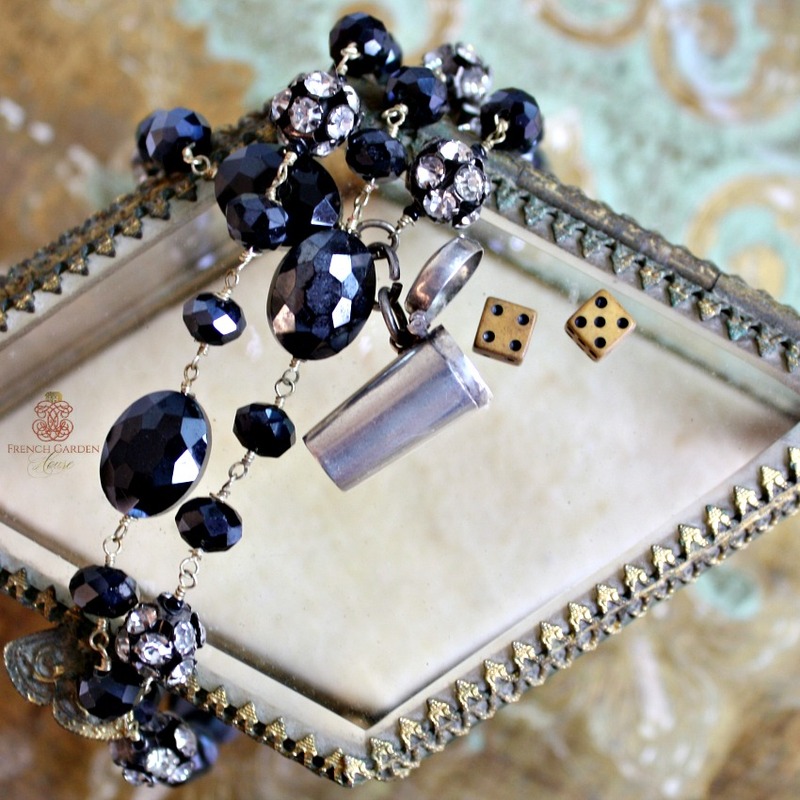 Made with an antique petit sterling silver case that holds two miniature dice, just in case your luck strikes and you need to play a quick game! 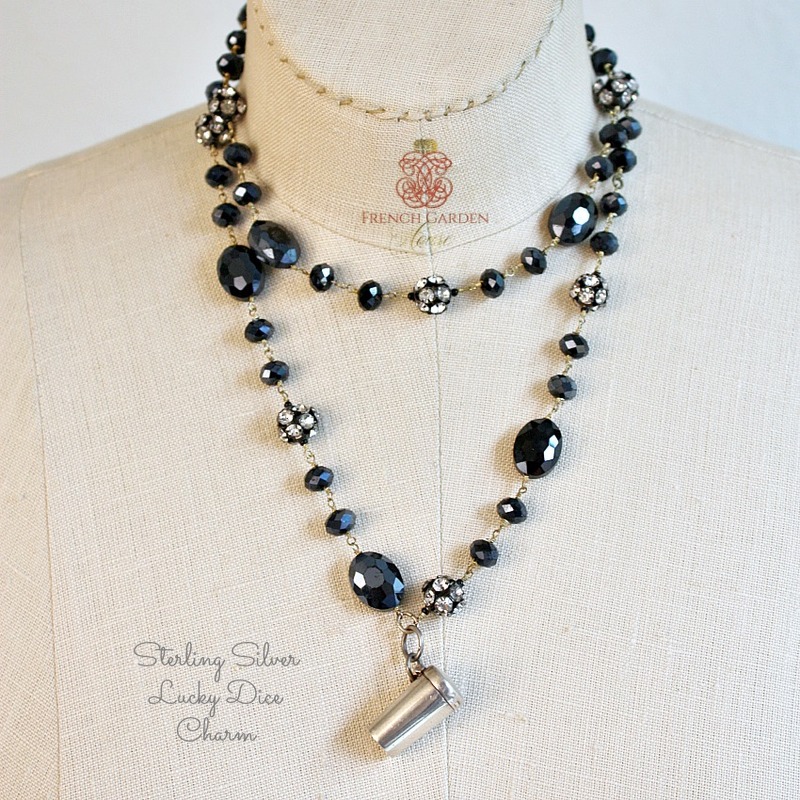 The glittering chain of black faceted Czech glass beads reflect a grey tone in the light, decorative round rhinestone set spheres complete the chain beautifully. 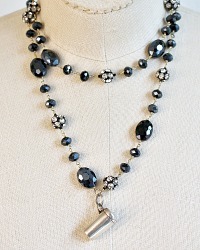 This is a necklace that will not be afraid to take the night by storm in a casino, and then dance the night away. It truly makes a statement, but in a lady-like manner. 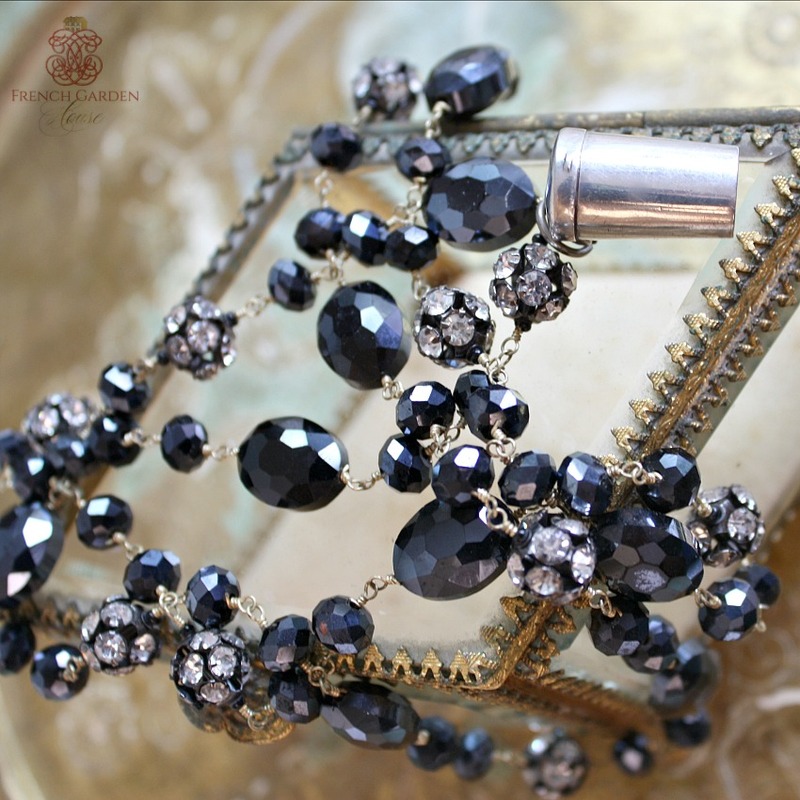 A one-of-a-kind neclace to elevate your jewelry collection. Measures 34" long; pendant 1" x 1/2".